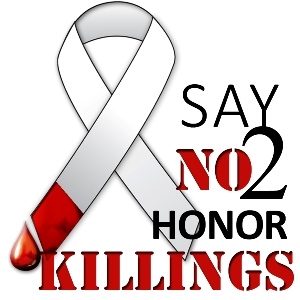 Honor Killings and other serious crimes against women, such as acid throwing, though illegal in Pakistan, are often seen as “domestic issues” which should not involve the police with the result that the penalties meted out to the perpetrators are often far too lenient for the crime. Honor killings and crimes of this type are a tradition in Pakistan, where many women and girls live in fear in their own households. In many cases, after the woman has been brutalized, she is cast out of her own home and left to fend for themselves. This was the situation of Guryia, age 22, a poor woman from Garishaho Lahore who had acid thrown in her face, blinding her in one eye, seriously damaging the other eye, creating burns and complications with her respiratory system, and disfiguring her horribly. Left to painfully die in the streets, she was fortunate to be found by Hope Development Organization, HDO. A change in the male-dominated culture in Pakistan cannot be forced from outside. It must change from within. We can only act to empower women, which empowers communities and, by extension, the entire society. Awareness, Education, and Empowerment are the initial steps in a journey of evolution and consciousness leading to equal rights and gender equality within society. Women in Pakistan do have legal options, but are often unaware of them, which is why HHI is sponsoring an Advocacy Initiative, but women at serious risk need immediate help. Humanity Healing International and our partner Hope Development Organization are working to help women at risk transition from a life of fear to a life of empowerment. HDO currently runs its Vocational Training Program (see HHI Sends Sewing Machines to Pakistan) out of a small rented building in Faisalabad, Pakistan and currently works with 40 women and girls. Unfortunately, there is far more need than there is capacity to help. 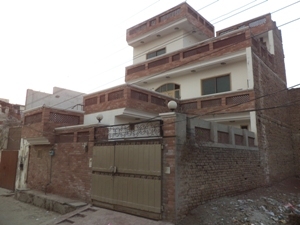 Humanity Healing is seeking the funds to purchase a Safe House in Pakistan where women living in fear can find a secure, temporary refuge while transitioning to an independent life. The capacity of the Safe House will be between 80-100 women. In addition, with the additional space, the current vocational training program can be expanded. This will also serve as a training area for the Advocacy Program. The cost to buy the property in a safe neighborhood, close to a police station, set up the Safe House and begin operations is approximately $62,000 USD.